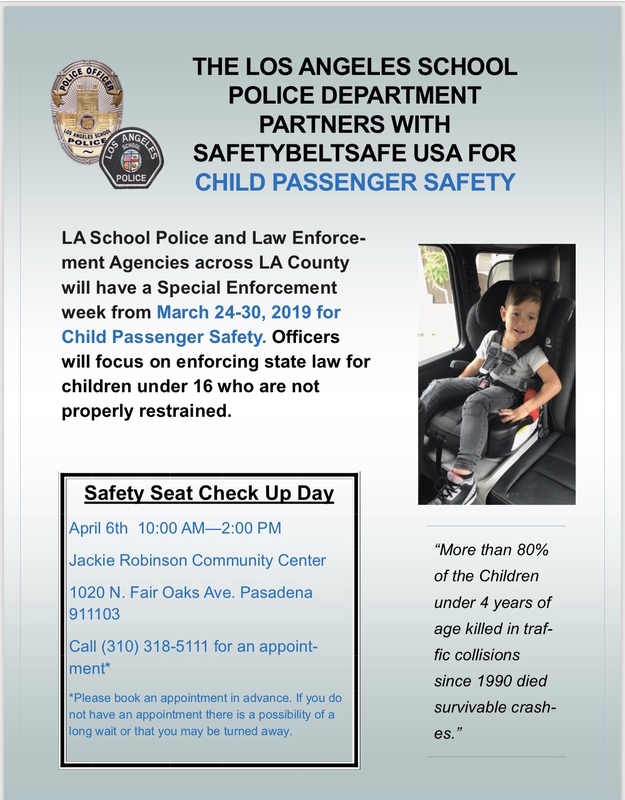 LA School Police and Law Enforcement Agencies across LA Count will have a special Enforcement week March 24-30, 2019 for Child Passenger Safety. Officers will focus on enforcing state law for children under 16 who are not properly restrained. 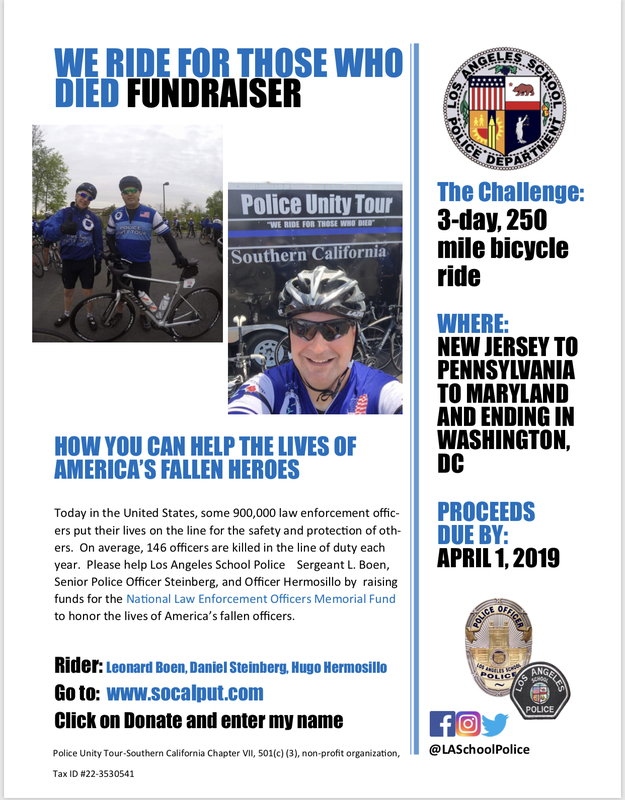 Thinking of retirement? Find out more from » LAUSD Benefits Administration.